Jesse M. Honeyman Memorial State Park is one of the best locations in Oregon to explore the spectacular dunes that line the coast. This is the second largest Oregon State Park campground, and it offers camping facilities ranging from yurts and full-hookup campsites to the simple hiker/biker area and group sites. Spread out over eight loops, this is a vast campground. The furthest loop from the entrance is the H Loop, which is designed for off-road vehicle (OHV) enthusiasts. It is the only loop where OHVs are allowed to drive the roads, and it offers direct access to the OHV area of the dunes between October and April. All other loops are off-limits to OHVs. These loops each have showers and bathrooms. During the off-season, some of these loops may be closed. The setting is gorgeous here, with huge evergreens and thick understory plants offering much shade and privacy. Trails to the two nearby lakes and non-motorized sections of the dunes are nearby. During the busy season, amphitheater programs are offered. 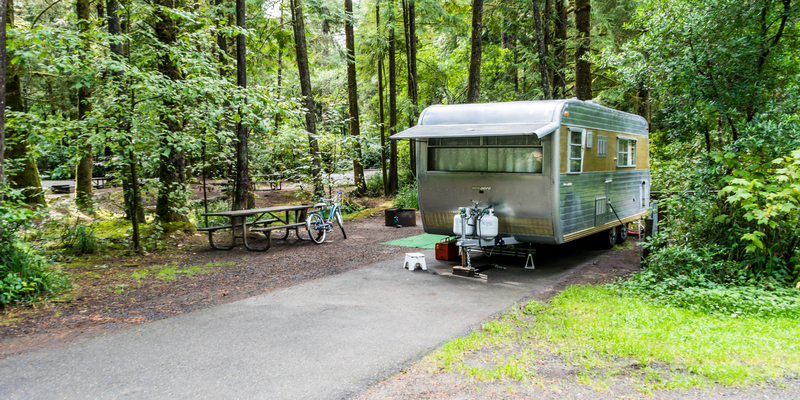 Due to its proximity to Eugene, this is a popular campground, and reservations are recommended during the summer.